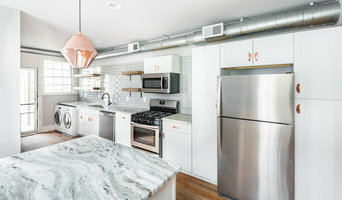 With a focus on historic restoration, Piperbear has designed, planned, budgeted and provided project management oversight small to large scale renovations throughout the City of Richmond since 2012. The scope of our projects include everything from color consultations and single room design to whole house updating. We can create floor plan drawings for your contractors to follow, and help you select fixtures for your new kitchens and bathrooms. We see renovation as a form of art, and an opportunity to collaborate with clients to help them personalize their space. We design with the function and character that accounts for the uniqueness of the space being renovated. Contact us and we can help you find your inner designer and create a space that you love to live in. At Kathy Corbet Interiors, we enhance our client’s experience with good design, making the process enjoyable. We can complete the project with the finishings touches that turn a house into a home. The enormous array of choices available in every aspect of home design and decor is an exciting thing. It’s wonderful to have so much within reach, but it’s very easy to feel overwhelmed. We apply our knowledge and experience to your vision, and steer you expertly through the landscape of options. We use a variety of design technologies to help our clients visualize their new space more clearly; helping them to make design decisions with confidence. 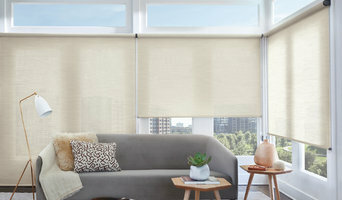 These design services in turn help our partner contractors and workrooms to quote more accurately by communicating design features clearly. Building on the essence of your home and how you want to live in it, we work with you to develop rooms in your style that are functional, welcoming, and beautiful. Our services include consulting and specifying interior furnishings and details, as well as construction phase design if you are looking to remodel or build new. Contented Interiors is Midlothian's systematic and transparent interior design provider that utilizes a 15 Step Design Dictate and offers services for every level of project. Contented Interiors crafts well-appointed spaces that elevate the family experience—focusing on abundant living, connectedness and contentment. Inspired by the human experience, we respect the unique needs, desires and budgets of each client. Honesty, expertise, authenticity and thorough communication define our design process. Contented Interiors tailors our designs to our unique clients, but the signature we leave on every space could be summed up as: classic lines, practical arrangements, and friendly seating groups, with touches of whimsy and drama. We believe in balancing coziness and coolness, mixing finishes, and complementary colors. Everyone deserves to feel content in their environment. A Contented Interior is one where you enter and say, “It’s good to be home”. BUDGETING INFORMATION Consultation (up to 2 hours): $300 Living Rooms: $15,000-$100,000 Kitchen Remodels: $60,000-$200,000 Bathrooms Remodels: $30,000-$100,000 Complete Turnkey Renovations: $150,000-$1,000,000 In addition to our Full Service Interior Design, we also offer A La Carte Services after a Consultation. These may include: Window Treatments, Space Planning, Lighting Plans, Furniture Plans, etc. Based on your project’s scope, actual costs may differ from estimates. Please call for details. ReDefine Design specializes in interior design and decorating. We love to use your existing cherished pieces, or we will gladly select new items, to create a transformation unique to your home. Whether your style is traditional, contemporary, shabby chic or eclectic, the results are always "breathtaking!" Patti Ryan's trademarks are her gifted use of color through her unconventional mixing of modern with traditional, and her intuitive sense for proportion and scale. Her stylish spaces are personal, fresh, comfortable, inviting and surprising. Patti's aesthetic influences, with there roots in her nomadic childhood, a decade in the world of fashion, and years as a decorative artist-turned designer, have given her a remarkable perspective about the art of interior decoration. “Being a designer gives me the opportunity to enliven a client’s home or business by doing what I love to do. One of the joys of my work is making people happy in the process! I believe that everything you live with should be excellent, not necessarily expensive, just excellent. A well designed room will draw you in like a magnet.” One of Patti's talents is helping clients "down-size." She has guided numerous clients through the challenging process of editing, eliminating and replacing furnishings and accessories. Her motto is "keeping what is beautiful, useful and meaningful (and discard the rest!." Working with blended families and "his and her mergers" are also areas of her expertise. She draws upon her personal experiences to help her clients discover the best possible solutions to encourage a cheerful home and happy life. Patti delights in working across the spectrum of interior styles and periods. Bella DESIGNS Studio is a client-focused interior design firm. Lead designer Heather Drew is trained and educated in interior architecture and design, receiving her Master of Fine Arts in Interior Design from the Savannah College of Art and Design (SCAD). Our mission is to create interiors that are a physical manifestation of our client's personality. The goal is always complete, beautiful and thoughtfully designed spaces that converge form and function, and evolve with our client's daily lives. Richmond native, Shanna Rawlyk, founded Shanna Rawlyk Design in 2008. A proud Hokie, wife and mother to three, spirited children, she understands the need for a beautiful, yet functional home. Her tailored taste and exceptional design have clients putting their full trust in her. With over ten years of experience in the design space, Shanna understands that each project is an opportunity to reflect her clients’ personal style. The end result are spaces that are serene, on trend, and most important, uniquely theirs. Native Nest is a full scale design firm that specializes in residential and commercial interiors. History, aesthetics, functionality, culture, and sustainability all serve as inspiration to achieve a visually rich and intriguing space. Melissa Mathe Interior Design approaches each project as a unique and individual canvas drawing on years of high-end design work. Our range of design experience from residential to hospitality allows our clients to feel secure in our process and the confidence that the project will be successful. As a designer, Melissa understands the relationships that exist between people and things - big or small – room by room – nooks and crannies – Melissa’s eye for aesthetics, organization and practicality will bring harmony to any space. Our style is your style, even if you may not know what it is…yet. Whether you have a specific vision or a bunch of ideas and don’t know how to connect them, Melissa Mathe Interior Design will help you make design decisions in an easy and enjoyable manner. Our attention to detail will make every space your own. Embracing each person’s personal style in a relaxed atmosphere allows clients to feel at home with Melissa and her team. Melissa Mathe has relationships with general and sub contractors to complete your project no matter its size. That do-it-yourself project, don’t know where to start or how to finish, we can help with that too. We look forward to bringing your vision to life! Cabell Design Studio is an award winning residential and small commercial design firm which has completed projects across the state of Virginia, Georgia, South Carolina, North Carolina and Maryland. Cabell Design Studio has won multiple awards at the annual Interior Design Excellence Awards ceremonies. In addition, their work has been published in several trade publications, including Southern Living magazine, Home and Design and Richmond Magazine. Elizabeth Cabell is a professional member of ASID and a Certified Interior Designer. She has passed the National Council for Interior Design Qualification (NCIDQ) and has 20 years experience in the interior design field. 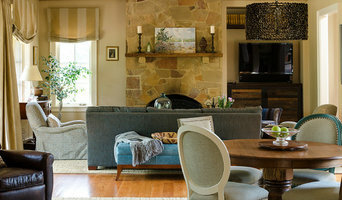 Liz Hart began her interior design business, Liz Hart Designs, LLC, in 2004 with the intent on improving home environments of her clients with an emphasis on repurposing and personalization. Having experienced moving 19 times, living in three different countries and extensive travel, Liz has particular insight across many different design perspectives. Liz graduated from Syracuse University and started her design career by owning and operating an interior design workroom and later working at Williams and Sherrill Interiors in Richmond, VA. Today, with over 20 years of fabrication and design experience, Liz has perfected the art of balancing design with her clients’ personal desires and lifestyles. Liz is a Certified Interior Decorator and Certified Home Stager. She is a member of IFDA and has developed a certification program and is the lead instructor for the Interor Decorating program at the School of Continuing Studies at The University of Richmond. Designs by Cheryl Interiors is very fortunate to be equipped with such a quality team. We have an unique ability to listen and understand how to tackle and solve our client's decorating dilemmas. Our goal is to tell the clients story about their home. I would love to share a little bit with you how Designs by Cheryl came to be. For me it was an exciting day when I opened my business in 2002. This I discovered after being in the field working with prominent designers for quite some time. I knew then it was time to go on my own. My father who is now passed away was an entrepreneur. He said to me one day, "Baby you are doing it all wrong. You need to be on your own." Spreading my wings and flying on my own is one of the best decisions I have ever made. "Thank you, Daddy." I truly love what I do. My clients have said that my passion and love for Interior design truly shows. This is my true niche and gift. I never take it for granted. Neither do I take for granted the wonderful and special relationships I have built over the years with my client's. Many have made me feel like a part of their family. This contributes having the unique ability to learn who they are, listen, and create all styles that are especially custom for each individual client. This makes it fun and exciting. Designing a house and turning it into a home is process I take very seriously. It's all in the details in providing quality service to create beautiful interiors. Our goal for our customers is for them to love how they feel in their homes. We want them to be able to sit back and relish in an atmosphere that is timeless and relaxing. Atmosphere is very healing in many ways. When you're thinking about a home project, we would love to have the opportunity to work with you. We offer an array of design services, from designing your entire home, to room by room. Designs by Cheryl Interiors also offers design consultations giving ideas for the decor of your home. We also help create design plans in helping individuals move forward in the right direction. This makes it less overwhelming. We are here to help make the design process easy and exciting. JTWdesign LLC is a boutique design studio that specializes in residential interior design. We strive to create spaces that are as functional as they are beautiful and we feel that your home should be an extension of how you live and what you love! A good home design professional will hone your style down to its very essence and be able to choose a functional layout that feels natural to you. Interior design companies can be involved as much or as little as the client desires. Many clients who hire an interior decorator in Beaverdam, VA — particularly those who are remodeling — have a good sense of how the room should look and what products they should use. Often clients will insist that interior decorators use the products already present in the house. Other times a designer will need to start from scratch — especially if this is a newly purchased or just-built home. An interior design company will need to figure out exactly what the client needs, which includes organizing rooms, picking flooring and wall colors, and finding furniture to complement it all. Sometimes that means he or she will have to recruit help from other Beaverdam, VA home professionals to help create the perfect look for your renovation. Here are some related professionals and vendors to complement the work of interior designers & decorators: Architects & Building Designers, General Contractors, Home Builders, Design-Build Firms, Photographers. 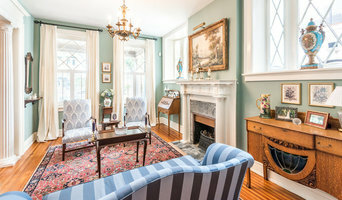 Do your research before meeting with an interior designer or home decorator in Beaverdam, VA. Ask yourself what you want your space to become and what it will be used for. Figure out the extent of what you need help with, what your must-haves are and what your budget is. Interior design services can add up fast, so be up front with a potential design firm or individual from the beginning. Also, pick an interior decorator that fits your style. Browse through the portfolios of different Beaverdam interior design firms and decide if you would live in those houses. Just because you like something doesn’t mean you could live in it. There's a big difference! Find an interior designer or home decorator in Beaverdam, VA on Houzz. Narrow your search in the Professionals section to find Beaverdam interior designers near you. You can also look through Beaverdam, VA photos to find a room you like, then contact the design firm who designed it.